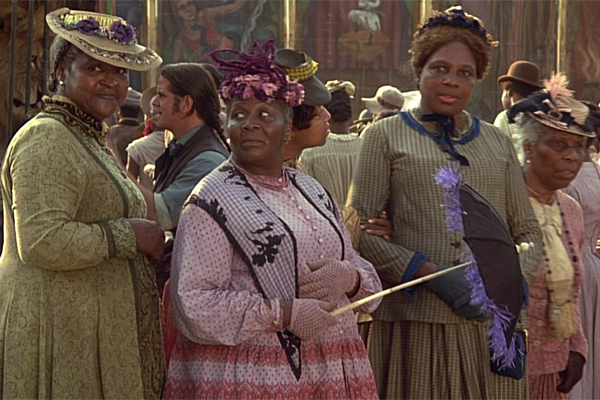 Toni Morrison’s Pulitzer Prize-winning novel Beloved creates evocative, often terrifying metaphors to explore the psychological scars left by legalized slavery, and this 1998 film based on her book does an admirable job at bringing the story to life. 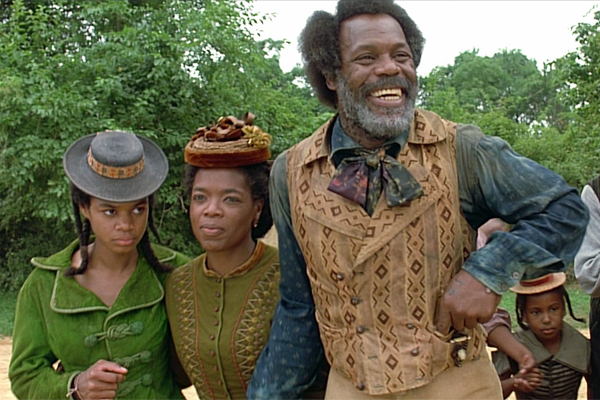 Oprah Winfrey stars as Sethe, an escaped slave in the 1870s, who’s living with her teenage daughter, Denver (played by Kimberly Elise) and the literal ghosts of past. This is a horror film where the scariest thing is what Americans did to our fellow human beings and how the almost unimaginable, systematized abuse lingered in the skin, bones, and psyche for generations. 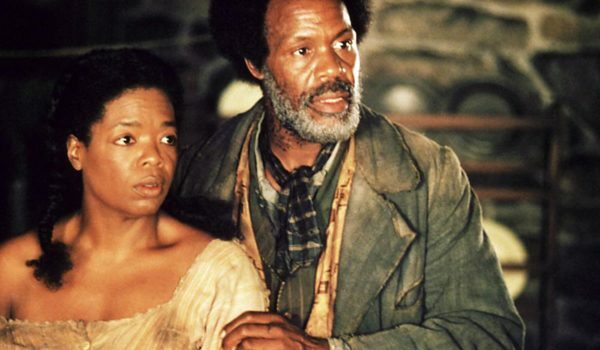 Using flashbacks, a poltergeist, and a reincarnation, Beloved tells how Sethe, Denver, and another former slave, Paul D (played by Danny Glover) come to terms with the tragedies in their lives. It’s not an easy movie to watch, but the way Morrison — and director Jonathan Demme — use the ghost concept is inspired, showing the futility of attempting to repress the memories of slavery. Beloved is a fiction, but Morrison was likely inspired by real events that happened (spoilers) and takes a poetic view to explore the inner workings of the characters. For as dramatic and gothic as the ghost story is, Winfrey’s performance is realistic and grounded, making this feel like we are going through her post-traumatic stress syndrome writ large. There are graphic, terrifying scenes of brutality that will make you despair, and there are colorful close-ups on nature that give rays of hope. Not quite a balance, but enough to come through the other side. The essence of this movie is that you can’t escape the past, you can’t escape the truth, but maybe you can find a better way. Overall, the costumes are quite effective at building the real-world background for a sometimes fantastical story. But let me get this one thing out of the way. I have an issue with the very first outfit we see Sethe wearing. It’s a simple little jacket and skirt, just fine at first, and you can see buttons up the front and then … what’s that? … is it? … lacing up the back? YES. 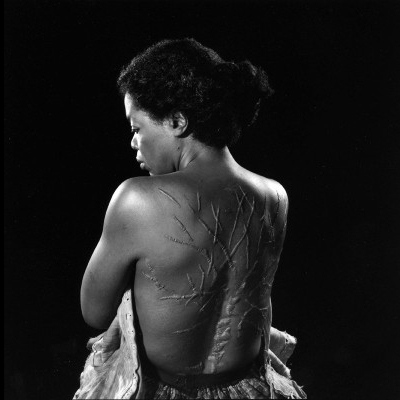 And you see why when she tells Paul D. about the “choke cherry tree” on her back, aka, the pattern of scars from being viciously whipped. He unlaces the back of her jacket and kisses the scars. It’s a beautiful, poignant scene — except when you’re me, and there’s this nagging irritation about why would a jacket have both buttons up the front AND lacing up the back? I had a flashback to that cheezoid Poldark scene, although, luckily, this being a Colleen Atwood production, the back-lacing was beautifully made, hand-worked eyelets, so at least it looked plausible, even if it was silly (to paraphrase Kendra, it’s illogical to have a garment open in both the front and the back, go read why). Hooks, people, hooks! That is far more reasonable for a 1870s dress. 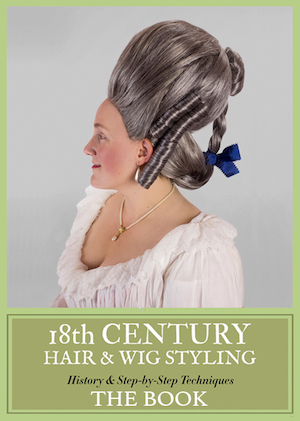 For once, it’s not an author clueless about historical fashion (or at least leaving it vague enough to be legit). Did the screenwriter change it because he thought it would be more ye olde-timey if it was laced up? And the buttons on the front, oh Colleen, you didn’t need to do that, honey (yes, they’re functional, you can tell). This is the nit-picky stuff that takes me out of the moment. However, the rest of the costuming serves the story in a purposeful and artistic fashion, as you’d expect from Atwood. 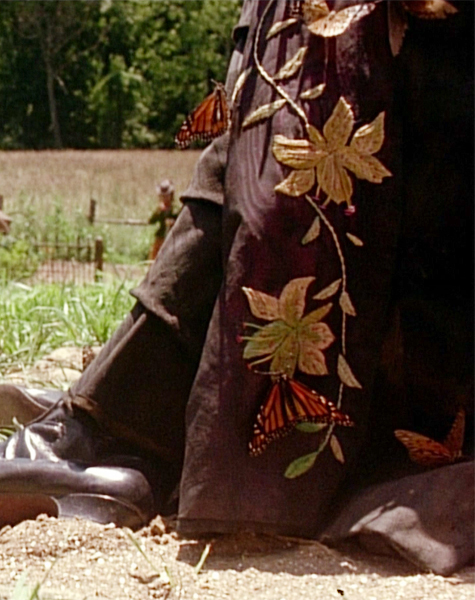 As the film moves back and forth between dark and light, the clothing shifts too, from dull colors and torn materials to brighter colors with patterns and embroidery and in better condition. The best example of this is when Paul D takes Sethe and Denver to a local carnival, where everything and everyone is full of life. 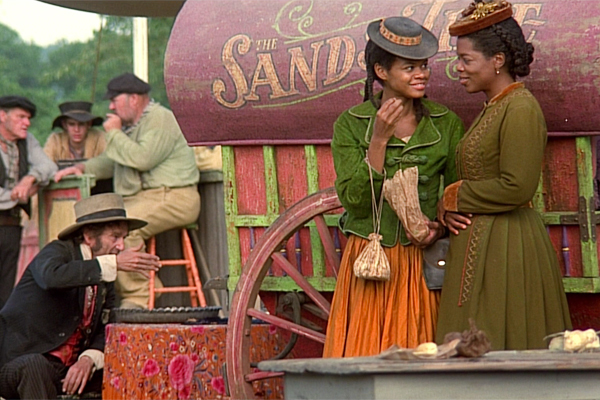 The carnival scene leads to the introduction of Beloved, a strange, barely cognizant character who seems sisterly towards Denver and has an obsessive attraction towards Sethe. Beloved (Thandie Newton) first appears wearing an elaborate black dress, possibly a mourning gown, except for the golden-brown flowers embroidered down the front. 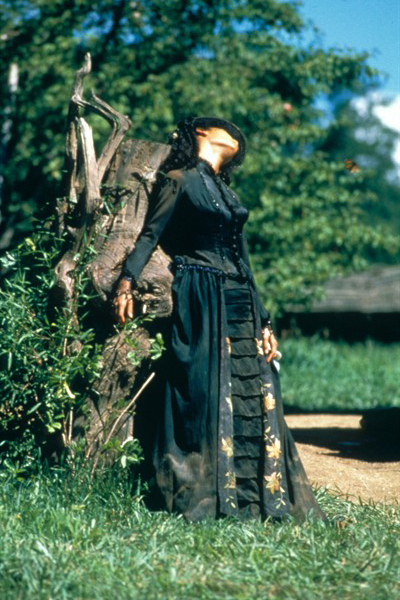 Ladybugs and butterflies crawl all over her, and the mix of her black clothing with the lively insects and floral motif hints at the character being something between living and dead herself. These costume details are subtle but important. 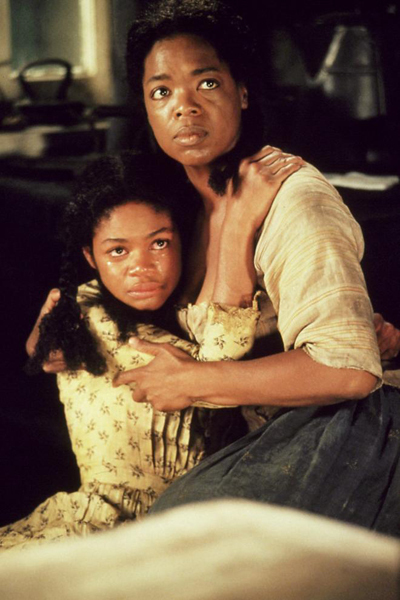 Have you read Toni Morrison’s Beloved and/or seen the movie adaption? You should watch La Esclava Blanca on Netflix. Really interesting setting of Colombia in the 1830-40. That’s on my to-watch list, thanks for the rec! I’ve read Beloved, but [dare I say it?] I really really don’t like it. It has often been on set reading lists for women’s literature, or black literature courses, but I think it tries too hard. I’d personally love to see a version of Octavia Butler’s ‘Kindred’…or in fact anything by Octavia Butler. Maybe a four-part (minimum) mini-series of “Kindred.” Can’t believe no one’s gotten it to the screen yet. I saw the movie when it first came out. Very unforgettable. 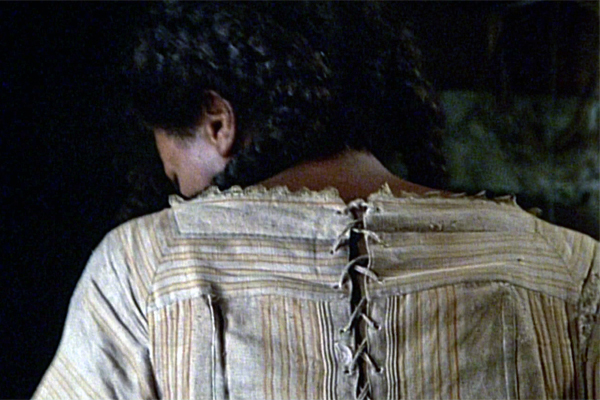 The character of Sethe is based upon a fugitive slave named Margaret Garner who had killed one of her children to prevent her from returning to slavery when slave catchers had caught up with her family in 1856 Southern Ohio. The real Margaret Garner had died of typhoid fever on a Louisiana plantation in 1858. I tried to watch the movie when it first came out on video. I found the opening scenes so incomprehensible I didn’t last five minutes. I did however read the book all the way through. The opening made a lot more sense with written narrative. I saw the movie when it was released in the theaters because I really enjoyed the novel. And I agree Octavia Butler’s Kindred would be an awesome series/miniseries. But what I really want is a miniseries on Marion Anderson and Leontyne Price. I read the book at Uni and loved it – set me off on a Toni Morrison binge – amazing but gruelling stories. Haven’t seen the film. 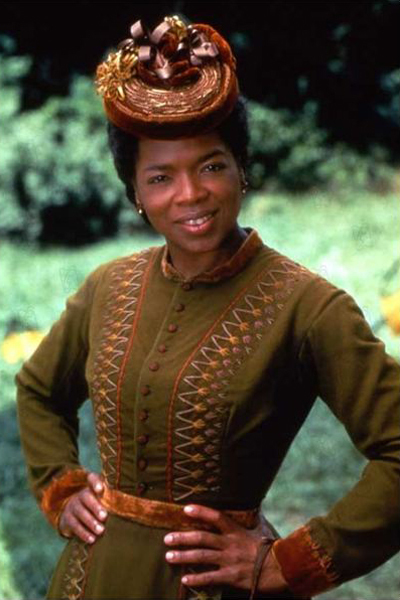 Wasn’t Oprah in The Colour Purple as well? I didn’t think she had done a lot of acting.